Colonel Wellington B. Bunny is ready to retire as Chief Easter Bunny and he needs to find a replacement for this most important of jobs. 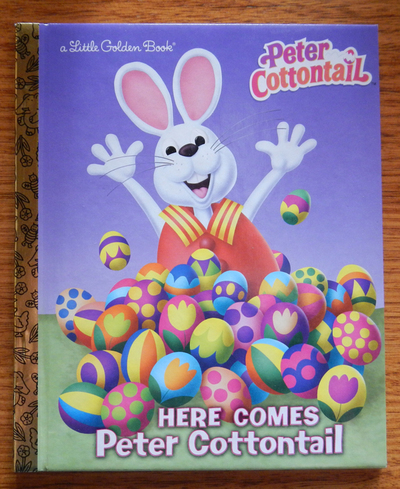 He decides that young Peter Cottontail is the best suited for the role, but nasty Irontail also wants the job and challenges Peter Cottontail to an egg-delivering contest. When Irontail sabotages Peter’s start and he loses the contest, Peter decides to enlist the help of some friends to ensure that he can win. He travels through several special holidays, trying to deliver as many eggs as he can. Will he succeed and become Chief Easter Bunny? 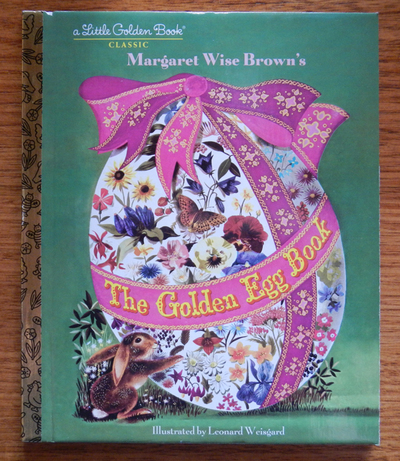 This isn’t so much an Easter book as a story that features a bunny and a duckling- a classic which is still popular, however, around the Easter season. 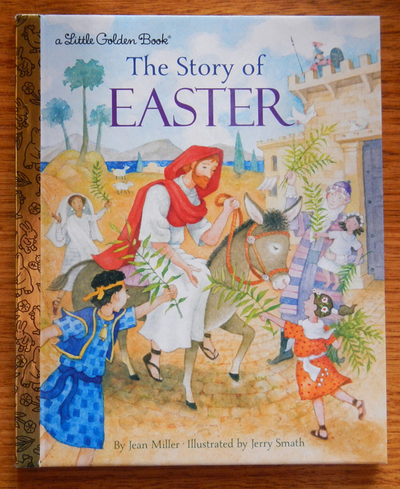 This Little Golden Book tells the bible story of Jesus’ betrayal, crucifixion and rising from the dead. It tells the story without going into too much detail, and while it does explain a lot of the events, some further explanation is probably needed for younger children. After the Easter story has been covered, the author tells of different traditions that some countries follow during the Easter season, including different services, decorations, crafts, foods and gifts, which are popular around this time.